An agreement has been reached between the Egyptian authorities and the Japan Bank for International Cooperation (JBIC). It paves the way for the first phase of the construction of a 250 MW wind farm in the Gulf of Suez, in the north east of the country. The work will be carried out by a consortium composed of Engie of France, Toyota Tsusho Corporation of Japan and Orascom Construction of Egypt. Egyptian Minister of Electricity Mohamed Shaker announced that an agreement has been reached with the Japan Bank for International Cooperation (JBIC) to build a wind farm in Ras Ghareb, near the western shore of the Gulf of Suez in the north east of the country. The investment required to complete the project is $400 million. The agreement paves the way for the construction of the facility, which will have a capacity of 250 MW. Three companies were selected in a competitive bidding process launched by Egyptian Electricity Transmission Co. (EETC), the company responsible for the transmission and distribution of electricity. These are the French Engie, the Japanese Toyota Tsusho Corporation and the Egyptian Orascom Construction. The project will be carried out on the basis of a 20-year power purchase agreement (PPA) with EETC. The rate will be negotiated when the wind farm is commissioned, which will take place by 2020. 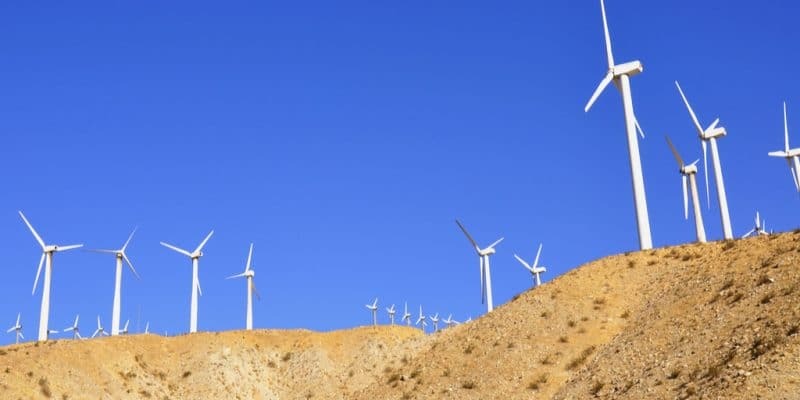 Mohamed Shaker, said the construction of the wind farm is part of the plans of the Ministry of Electricity to increase renewable energy production. The objective is to reach 20% of the energy mix by 2022, and 42% by 2035. For Orascom Construction, the project is the first independent renewable energy power generation project of this type and size in Egypt. In the long run, EETC would like to extend it to 500 MW. The public company carried out a feasibility study beforehand. The latter revealed that the wind farm was on the path of migratory birds that leave Europe to spend the winter on the African continent, which is then in the dry season. This is the case for white storks that come to Africa via the Gulf of Suez. The study showed that the blades of wind turbines could be a danger to these birds strained by a long journey. In response to criticism from environmentalists, Mohamed Shaker said that migratory birds will be protected through a “closure on demand” programme that will be developed soon.